When it comes to listening, wired connections to your favorite devices are a thing of the past. The best tech brands have been rolling out a wide variety of wireless technology - wireless charging, earbuds, wireless speakers, and more - that introduces new freedom to your technological experience. Say goodbye to untangling the wires from your headphones and say hello to the liberating experience of listening without your device in hand. Best of all, these expertly-designed wireless listening accessories mean you never have to skimp on sound quality for the high-quality sound you crave. At InMotion, we know it’s sometimes difficult to sort through the plethora of options for your wireless listening, which is why we’ve outlined a few of our favorite products. There’s nothing better for your workout than your favorite hype-up playlist that keeps you focused. However, nothing hinders your exercise more than tangled wires obstructing your ability to move, lift weights, or get in the perfect ab workout. Problem solved. The Bose SoundSport Wireless Headphones are the bluetooth-enabled headphones of every athlete’s dreams. 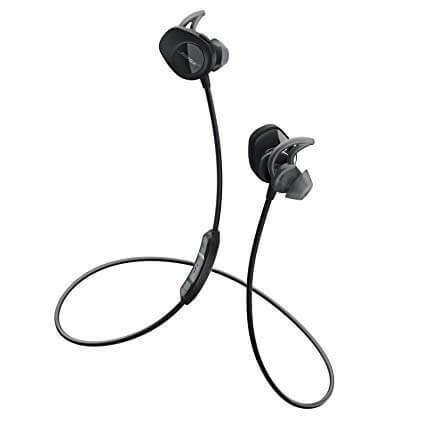 Designed with a sleek, water and sweat resistant hydrophobic cloth and water resistant acoustic ports, the Bose Soundsport Wireless Headphones allow you to sweat out your frustrations with ease and style. With three different styles of StayHear+ Sports Tips, a comfortable shape that gently seals to your ear, and a flexible wing for comfort and stability, these headphones turn your workout into a hands-free, worry-free wireless experience. All this comfort and convenience doesn’t come at the expense of the powerful audio we know and love from Bose. You’ll stay focused with crisp, beautiful sound for up to six hours on a single charge. The Bose SoundSport Wireless Headphones allow you to pair with two devices at once, making for simplistic switches between phone calls and music. Best of all - for those who tend to be a little forgetful - Bose has teamed up with Tile, allowing you to easily program one of the most-trusted locating devices into your headphones using the Bose Connect App. This way, you’ll never lose the only workout companion that can keep up with you. The best part of wireless listening technology: the ability to listen to your favorite music wherever and whenever you want. JBL celebrates this freedom with the Flip 4 Portable Bluetooth Speaker. 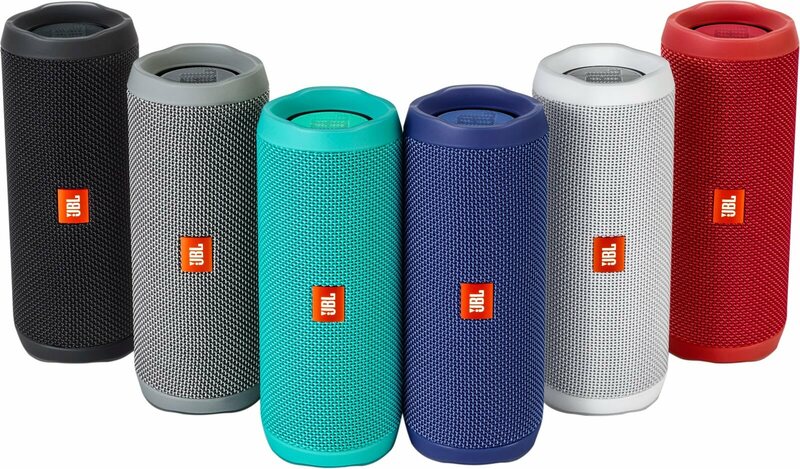 Coming in six fun colors, the JBL Flip 4 Portable Bluetooth Speaker brings a party of its own with full, rich sound. With the ability to connect two devices at once, you and a friend can take terms bumping the best music for everyone in the room, and you can connect more that 100 speakers together to amplify the party to your heart’s desire. And in case you’re wondering; the JBL Flip 4 Portable Bluetooth Speaker can handle the celebration. Constructed with durability in mind, the Flip 4 is built with strong fabric and rugged rubber. Additionally, this speaker is IPX7 Waterproof, meaning it is fully submersible in water without worry. The built-in 3000mAh rechargeable lithium-ion battery allows you to keep the party going for twelve hours of nonstop fun and music. With speakerphone and voice assistant capabilities, the JBL Flip 4 Portable Bluetooth Speaker combines function with fun in a small, powerful package. There is one problem that remains with a variety of wireless listening devices; there are still many facets of life where your wireless headphones are not compatible. You still need a wired connection to use the listening capabilities on the elliptical at the gym, on planes, or on older phones and listening devices. You don’t want to invest in a high-quality pair of bluetooth headphones just to find that they cannot be used for all of your listening needs. This is the exact problem Twelve South looked to solve when creating the Airplay Wireless Transmitter. The Twelve South Airfly Wireless Transmitter gives wireless headphones the ability to connect to devices and locations that require a wired connection. 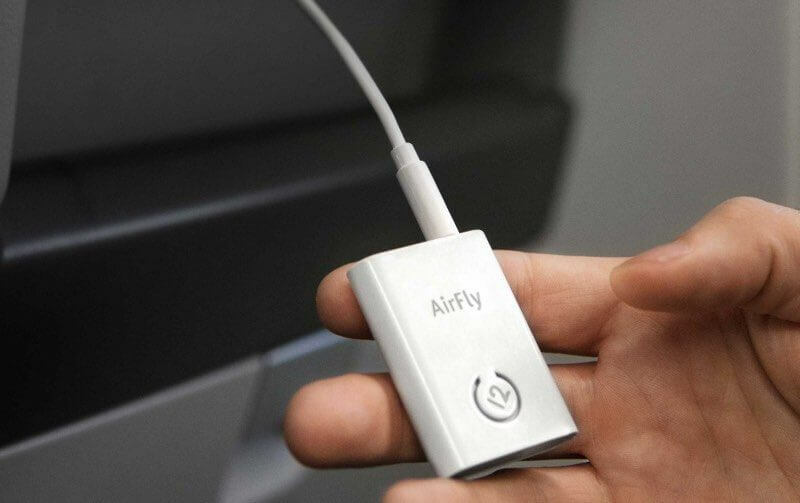 Simply plug the tiny - less than 2-square-inch - Airfly Wireless Transmitter into the auxiliary input to the video screen on the plane and you can instantly connect it to your wireless headphones. The Twelve South Airfly Wireless Transmitter has up to eight hours of battery life and a 33 foot range, allowing you to never miss a beat (even if the world around you isn’t on your side). As tech enthusiasts, we’re always looking for the best of the best technology to keep connected to the people and things we love. As our devices become increasingly compatible with other devices, we are experiencing more and more convenience in our daily life, especially with the addition of wireless connections. Having the best wireless headphones, speakers, and more is a godsend for people on the move, which is why the experts at InMotion are always available to lead you to the best technology for your needs. Next time you’re travelling, stop in for professional service and demos to help you find the wireless device of your dreams.